Tradition Energy is the nation’s largest and most experienced energy risk management and procurement advisor to government organizations and mid- to large-sized companies. We are an independent, neutral advisor working side-by-side with our clients. We are your advocate working to minimize your energy spend. Tradition has been advising clients in energy commodities markets since 1986 and currently employs approximately 250 energy professionals. We are part of the Tradition Group, a top 3 institutional broker of financial products and commodities with over 2,200 employees in 28 countries. Tradition Group is publicly traded on the Swiss Stock Exchange (SW: CFT) with revenues around $1.0 billion. Through the new contract awarded by the lead public agency, City of Mesquite, Texas, registered users of U.S. Communities will benefit from a full suite of supply-based services specifically designed to maximize cost control and savings on energy expenditures. Tradition Energy, through U.S. Communities, partners with state and local government agencies and educational institutions to save you time and money. Market Research & Intelligence: Tradition’s unique wholesale energy market presence results in more timely responses to market conditions and price changes and leads to savings opportunities for members. Strategic Risk Management: We work with you to identify the factors and risks that impact financial results and energy procurement decisions and recommend pricing options and implementation strategies specific to your organization’s objectives. Energy Procurement & Supply Management: 84 electricity and natural gas suppliers currently compete on Tradition’s online pricing system. Tradition can process more transactions at a lower cost and more suppliers are seeking your business because of our scale. The result is more competition for your business. Data Management & Reporting: All of Tradition’s market research, the energy market price data and your agreements will be available to you in our on-line database accessible through our secure TEAMView portal. Tradition offers a data management and reporting service that is invoice driven and tracks usage, cost, carbon and includes budgeting, forecasting and performance monitoring tools. Tariff Rate & Tax Analysis: With any new utility account and even existing accounts, it makes sense periodically to review the tariff rate for correct billing, especially if usage has materially changed. Tradition will identify costly utility billing errors and recover overpayments from past invoices and from ongoing expenditures related to more appropriate delivery tariffs or tax exemptions. Bill Processing & Payment: These services allow you to reduce overhead costs by outsourcing everything from mail handling, to bill auditing, expediting late notices and eliminating fees, to data feeds and compliance with client proprietary systems and finance standards. Sustainability: In the sustainability area, we assist with renewable energy procurements through “renewable energy certificates”. We can also assist with the procurement of solar energy for on- or off-site platforms. Demand Response (DR): If you have the ability to shed load on demand or have backup generation, we can assist with procuring a Demand Response program and either improve the current revenue stream from an existing DR program or create a new one. How do I start working with Tradition Energy? To utilize the contract between U.S. Communities and Tradition Energy, you must have a U.S. Communities specific account set up with Tradition Energy. 1. By Phone: Contact our toll-free number at 877-832-7022. 2. By E-mail: e-mail us at USCommunities@TraditionEnergy.com and we will have someone call you back within 24 hours to handle your request. 3. Online: Log on the Tradition Energy website at www.TraditionEnergy.com/USCommunities using your U.S. Communities account information. Legislatures and the public utility commissions (PUCs) of many states have created competition for electricity and natural gas supply. In the past, one utility provided all parts of energy service: generation, transmission and distribution. With competition, generation is separated from transmission and distribution. This allows consumers to choose their energy supplier, while the delivery of the energy is still regulated and is the responsibility of the local utility company. Public agencies operating in deregulated energy markets can enjoy a number of benefits: multiple options for selecting an electricity and natural gas provider; flexibility in developing an energy strategy; freedom to choose from a variety of products, prices and terms; protection from rising costs; budget certainty; rebates and incentives; security—transmission and distribution are still regulated by the PUC and guaranteed. Energy deregulation enables public agencies to shop for the best price of energy just as they do for their other products and services. With these benefits comes the task of competitively procuring these energy commodities, which takes a thorough understanding of the markets and the suppliers. This is where Tradition Energy is here to help. A supplier is an independent company that provides electricity or natural gas to commercial and/or residential customers in a deregulated energy market. To operate in a service territory, suppliers must be accepted by that state's regulatory agency and must meet certain criteria, which varies across utilities and states. Tradition Energy’s process ensures public agencies select the best energy supplier to meet their needs, through a competitive reverse-auction process. Do people have to choose a new electricity supplier? No. However, it's in their best interest to at least compare prices and services offered by competitive suppliers. 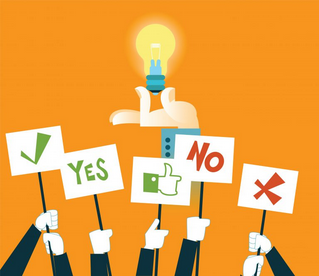 Then customers can make an informed decision based on what best suits their energy needs. Will customers save money if they switch suppliers? Savings will depend on several things, including how much is currently paid for electricity or natural gas, how much electricity or natural gas is used, and the current agreement with the supplier. Tradition Energy provides a complete analysis, so that you can see exactly what savings are involved with each procurement option. If a customer does switch, will they have to worry about the reliability of their energy service? No. Regardless of who supplies the energy, the utility will continue to deliver it uninterrupted, ensuring that sufficient electricity and natural gas are available. The customer will continue to have access to customer service representatives, and utility crews will still respond to emergencies and power outages. It is a good idea to take a step back and view energy as a whole, as it relates to the financial effect on your organization. In this article we will review the need for full-service solutions in your energy advisor. As a large user of energy, you know that one of the key factors in making smart decisions is engaging the services of an energy procurement advisory firm. We have discussed this importance multiple times in our regular articles. These same articles have touched upon various aspects of the relationship between the energy advisor and the energy user. However, we have never fully explored the process used to actually engage and evaluate the advisor. In this case, we're not talking about Rand McNally, but rather an aid in navigating the unpredictable energy market. For the free market to work its magic in establishing prices through the force of supply and demand, you have to have several key ingredients ­— one of which is an informed buyer. As a buyer of energy, this means that to have the best chance of success in achieving the best pricing, you must be informed. With Energy Prices This Low, How Do Keep From Missing the Boat? How do you take advantage of low prices, if you are not sure how to do it? In order to take advantage of market movement, there are two key issues you need to understand when managing energy procurement. One is market timing, and the other is agreement structure. For years, renewable energy options have existed under a stigma: It sure would be a nice thing to do, but the up-front setup cost is just too high. When looking at these “nice” solutions like solar power, companies often consider the notion of “grid parity,” too. Is the cost of renewable energy on par with the cost of regular conventional electricity? 10-Year Energy Agreements Are Growing In Popularity Among Large Energy Users. Are They Here To Stay? Because of the need to keep operational costs as low as possible, energy procurement presents a unique set of challenges to businesses that use a lot of energy. When you think about ways to reduce your organization’s energy costs, two solutions typically come to mind - procure a lower rate for your electricity or natural gas supply or put together an energy efficiency program. Natural Gas, Energy Prices, and Procurement. What’s Really Driving the Price You Pay for Energy? This constant cycle of up-and-down price changes makes energy commodities extremely difficult to purchase. What if prices drop after you’ve locked in your rate? When was the last time you evaluated your energy risk management strategy to see if it was meeting your organization’s original expectations? If it was more than a year ago, you could be making a costly mistake. Energy Aggregations: Lower Prices, Higher Cost? Your organization’s electricity contract is set to expire, and you have to make a decision soon. Do you join a regional energy aggregation that already has a membership or look at other options? Everything seems to come down to price. After all the talk and all the negotiation, ultimately the decision comes down to one question: “What am I paying?" 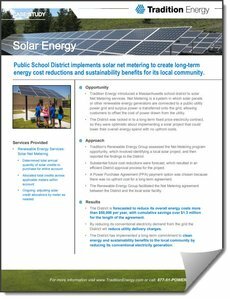 Public School District implements solar net metering to create long-term energy cost reductions and sustainability benefits for its local community. The District is forecasted to reduce its overall energy costs more than $50,000 per year, with cumulative savings over $1.3 million for the length of the agreement. Private school reduces energy costs, and “helps to make the world a better place” through renewable energy purchase. Private school is expected to reduce its energy costs by 15% while meeting their renewable energy goal to have a 100% green campus. Housing authority utilizes U.S. Communities program to reduce energy expenditures 15% and increase procurement efficiency. Housing authority with more than 500 units saves 15% on their annual electricity costs. With 6 campuses and a growing student body exceeding 50,000, the college’s diverse energy needs require constant monitoring. Learn how the college's estimated total energy savings has been over $11 million since 2011. Growing municipality turned to Tradition Energy for a customized procurement solution and saved close to $500,000 over two years. Find out how they started saving. - Forecasted to reduce its overall energy costs more than $50,000 per year, with cumulative savings over $1.3 million for the length of the agreement.